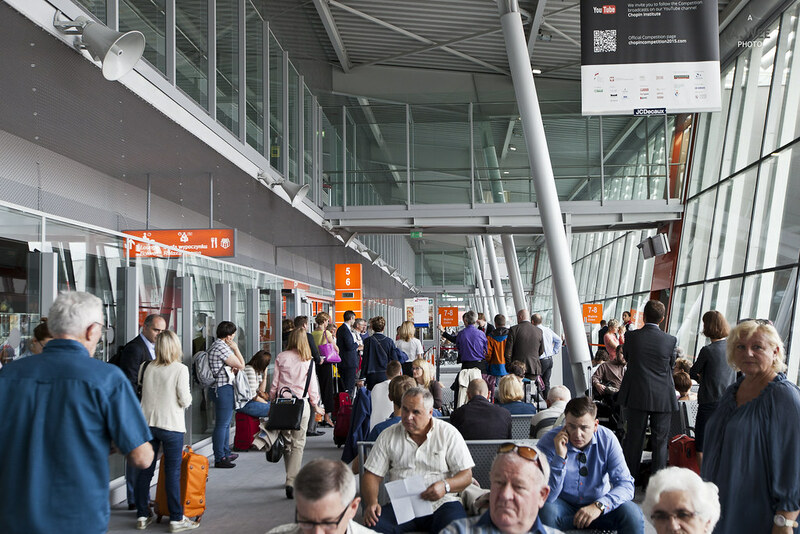 While the wait for the immigration was quite long in Warsaw due to the limited number of counters and the large number of arriving passengers from another long-haul flight, the check was cursory and after being asked a few questions about my motive for visiting, I was let into the country. 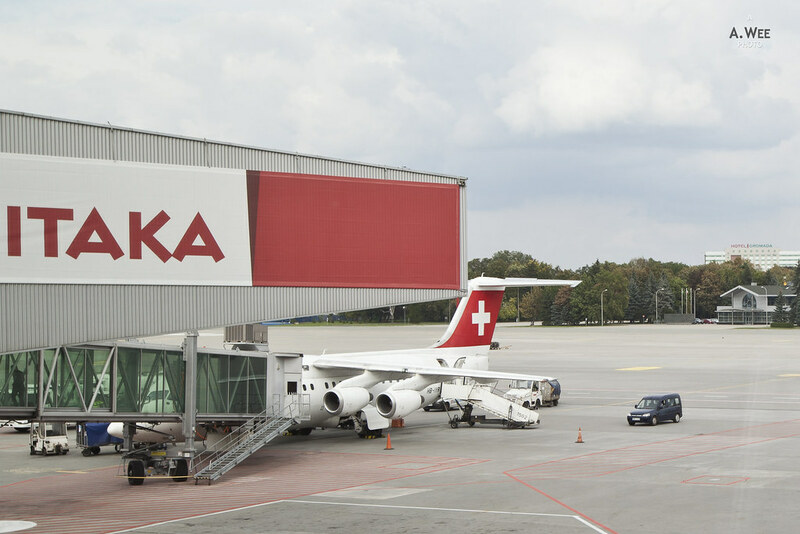 Warsaw Airport is relatively small but still larger than regional airports. Finding my way around the airport was simple enough with the clarity of signs inside and the modern look with bright interior makes it all the better. 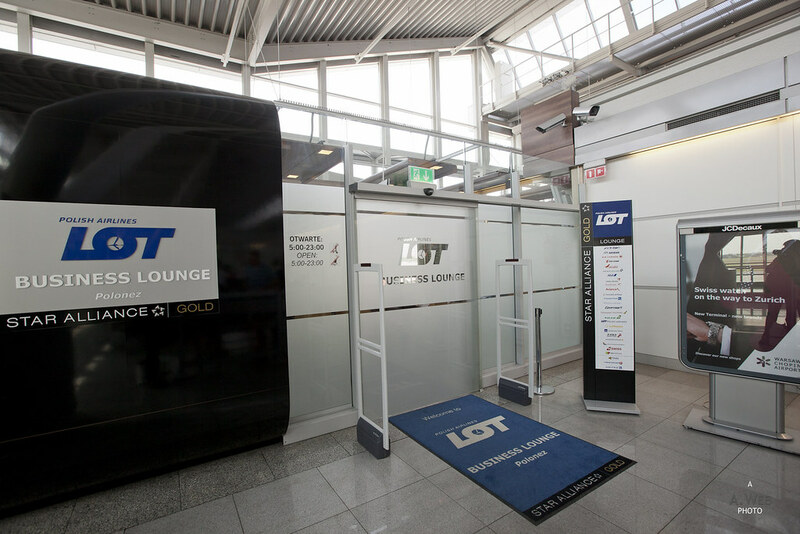 The LOT business class lounge also provides entry to Star Alliance Gold members and when I presented my boarding pass, I was let through with the agents at the reception desk mentioning that boarding was not to be called in the lounge. At this point I started to take photos in the lounge only to be told that photos were not allowed. Thus I did not take as much photos of the lounge but when I do, I try to make it as inconspicuous as possible. Thus, it was not exactly the friendliest of welcome into the lounge. Right by the entrance of the lounge, there is a main seating space with circular tables. 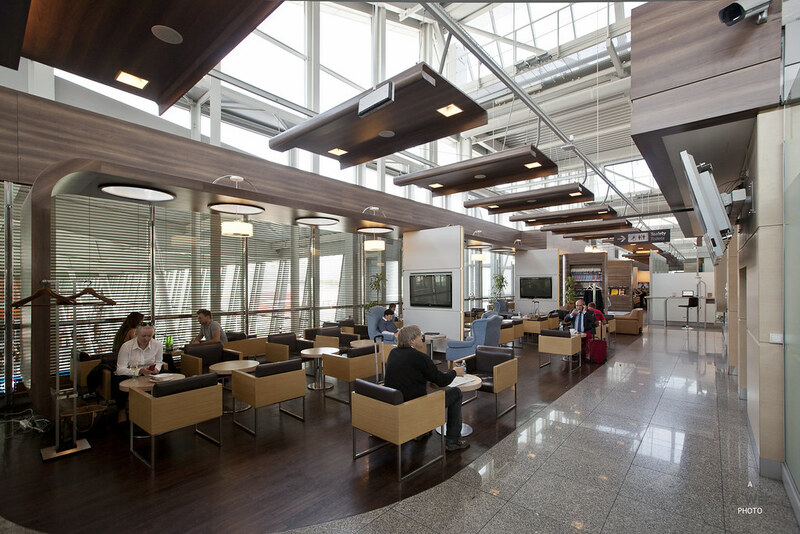 This area is quite open and airy but provides not much privacy or space to relax in between flights. That is probably why I went on to the next space which features comfortable sofas and loungers with a small green wall as a backdrop. 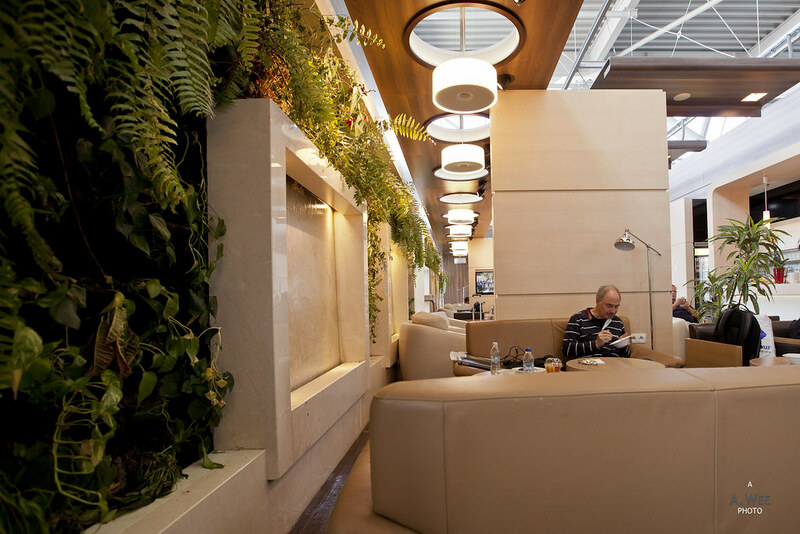 I like how lounges all starts to incorporate these green walls following the Qantas First Class lounge. Washrooms and shower rooms are available, and located at the end of the lounge. I did not ask for a shower room but the washroom is not very large and there are also limited shower rooms inside the lounge. There is also a small games area with 2 winged armchairs, which totally did not fit. I figured beanbag loungers would fit here better. Maybe families with kids could place themselves in this corner of the lounge. The most attractive space in the whole lounge to me would be the central space betwen two magazine racks where there are 3 ‘swing’ lounge chairs that no one seems to be occupying. The placement of this relaxation corner in the middle of the lounge with foot traffic probably does not make it very quiet. 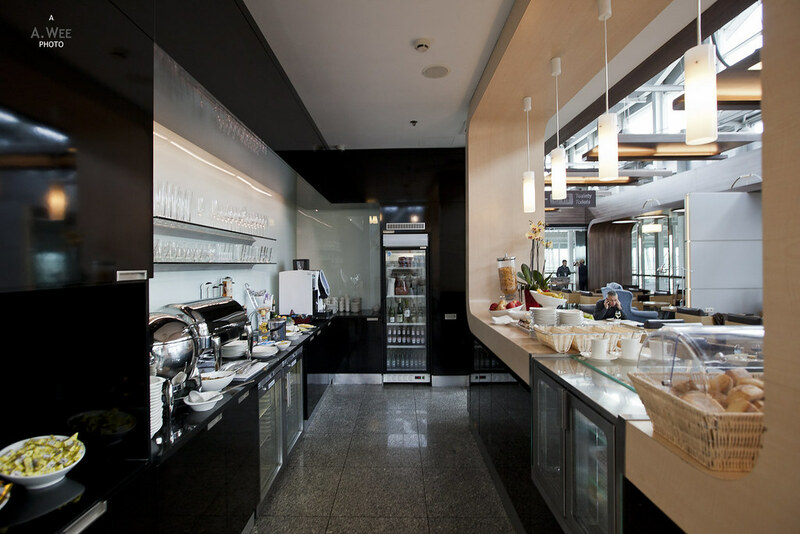 With the lounge being a long rectangular layout, there are 2 buffet areas where guests can head for food. As far as I can tell, the food and beverages offered in these 2 spots are similar. It was around lunch time when I arrived, but having had breakfast or brunch on the flight, I was not that hungry since the warm food options did not look that appetizing to me. There was some meatballs, pasta dish, vegetables, soup and the usual mix of sandwiches and salads. 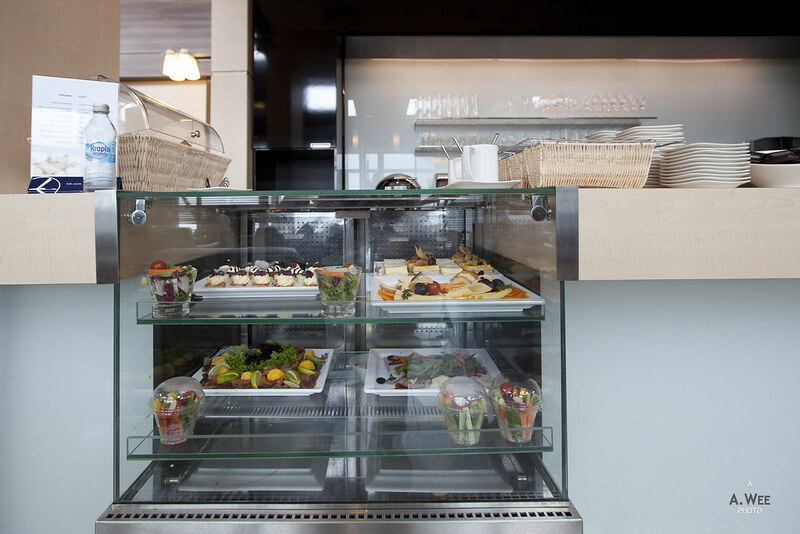 There are also some desserts and packed cut vegetables in a cup placed in a cold storage counter space. 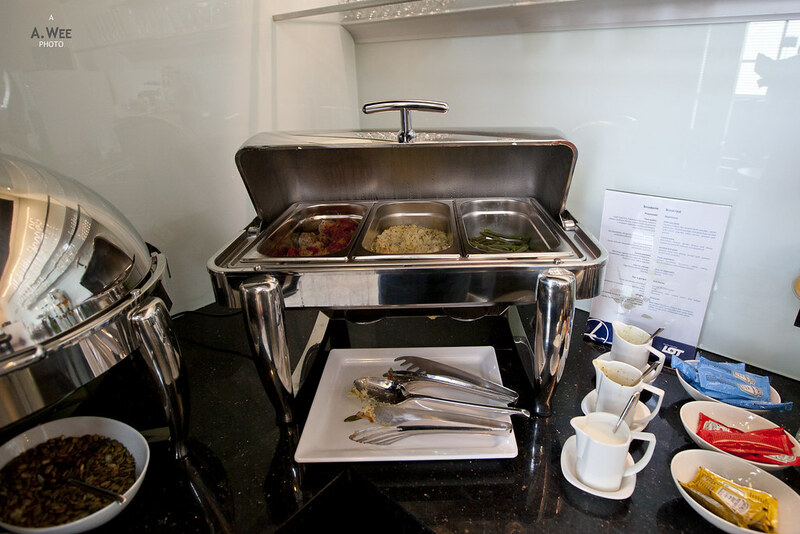 However not much guests was getting these food out since they are either not that easily accessible. 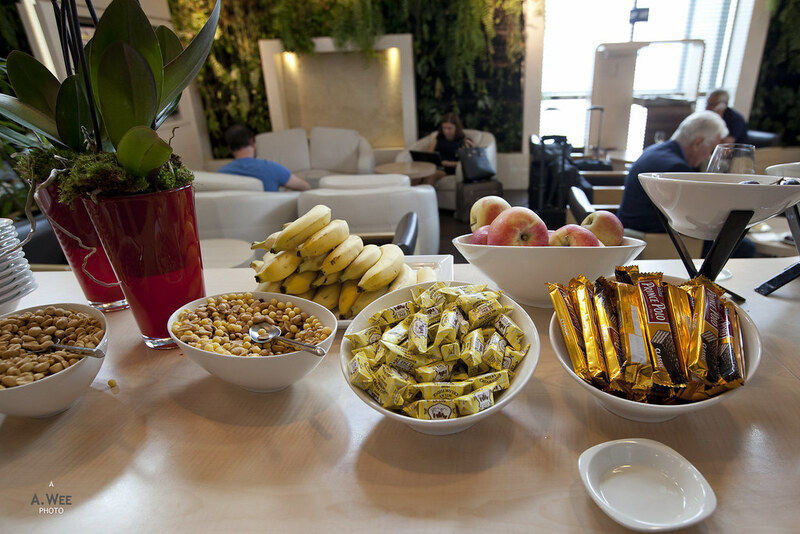 The best food options were probably their fresh fruit options of apples and bananas along with a large selection of snacks ranging from nougat candies to ‘Prince Polo’ chocolate wafers that are probably the best food in the lounge. While munching on my light snack, I logged online to message my family using the lounge wifi. They were usable and posed no problems for messaging, checking e-mails and surfing websites. Ambience in the lounge was quiet with about half of the seats being occupied and it never got to be very crowded throughout the one hour or so I was there. There are some staff working in the lounge but do not expect them to take orders or provide much service but they did provide assistance and at least cleared the table once in a while to keep the whole space tidy. As boarding was not called inside the lounge, I made my way out towards the gate since I wanted to spot my airplane. Turns out the location of the gate meant I only got a partial view. Though boarding has yet to be conducted even when I arrived, and it seems to be quite a full flight as well for such a small plane. This transit experience as part of my LOT Polish flight was actually better than the LOT Business Class flight itself. 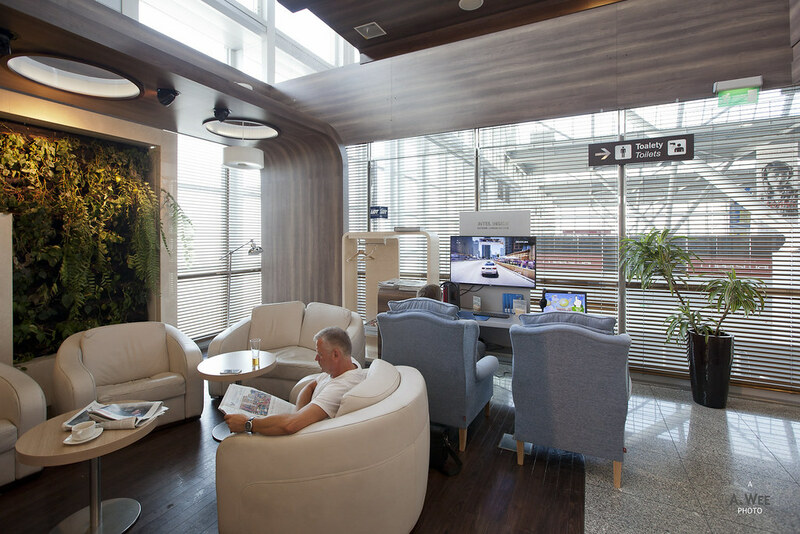 While the lounge did not offer much food, it was adequate for most passengers and it was a relatively nice space to relax and get some snacks or surf the internet while waiting for the connecting flight. And that probably makes LOT Polish Airlines viable as a way to see more of central or eastern Europe. Now if only LOT could improve their business class product more.